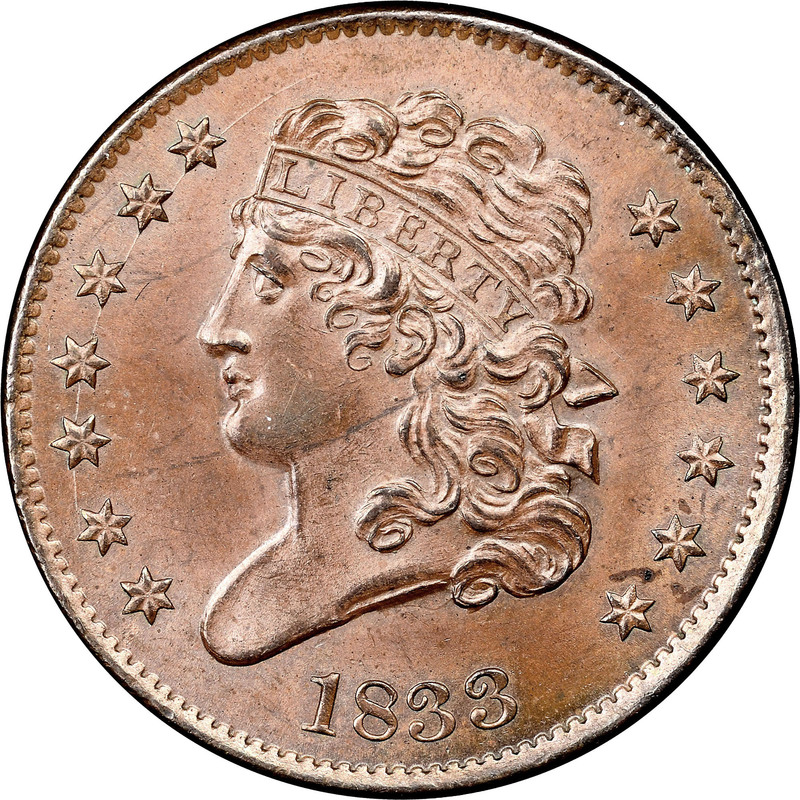 It was common practice at the Philadelphia Mint during the early 1830s to use dies until they failed, regardless of the date they bore. 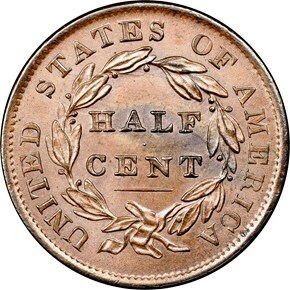 Thus, the mintage for 1833 half cents is mostly an educated guess, and other sources place it as either 103,000 or 184,000. The only thing for certain is that 1833 half cents were coined from a single pair of dies and are very common both worn and Mint State. The latter come mostly from a hoard of several thousand pieces brought to the market by the Guttag Bros. coin dealership in New York City. The discovery of old coins within bank vaults was a common occurrence during President Roosevelt's Bank Holiday of 1933 in which federal auditors made thorough inspections of each bank's assets and liabilities. 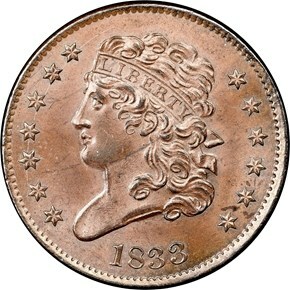 1833 half cents typically are quite sharply struck and make excellent type coins for the collector.